Governor Samuel Ortom has restated the call of his administration for the establishment of State Police in the Country. 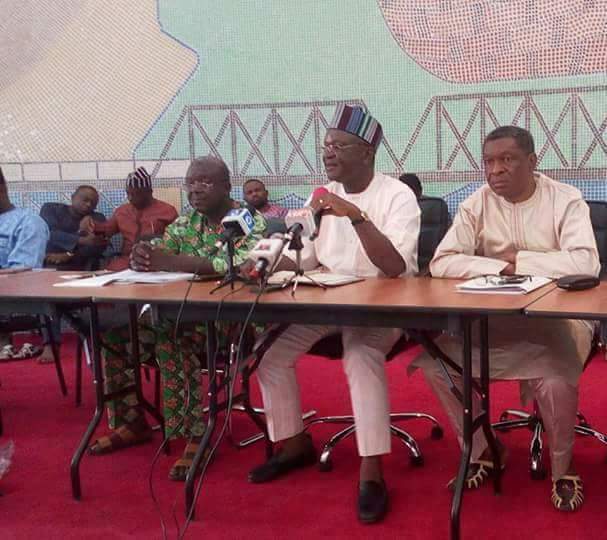 Governor Ortom spoke to News Men recently at the Benue Peoples House,Makurdi on measures taken by his administration to stop killings in the State. He explained that the call was necessitated by the fact that as the Chief Security Officer of the state,he does not have the authority backing him to order the police or soldiers to take certain actions. The Governor maintained that the State has Vigilante Group and Livestock Guard whose men mostly were unarmed retired security Personnel. Governor Ortom said the State Policy would greatly complement efforts of the Federal security agencies in nipping the linegering security challenge in the bud. The Governor was of the opinion that if established,Officers of the State Police would be adequately trained and equipped to have the capacity to combat any security challenge. According to Governor Ortom,State Government would also address other deficiencies Conventional security Agencies face such as funding,staff strength, capacity and equipment,assuring Federal Government Agencies of his readiness to sustain support to them in that regard. Governor Ortom stressed the need for spirited Individuals and Organisations to equally support the Federal security directly or indirectly since the responsibility of surmounting insecurity is enormous.